Nagesh, aged 24, a regular office boy earning 8,000 per month,residing in Virar. 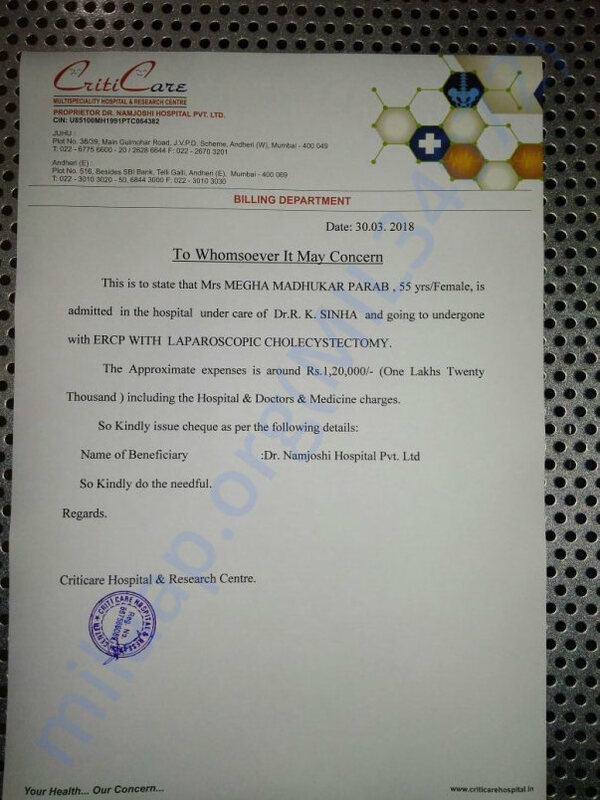 He needs around 1,20,000 for stomach operation for her mom. 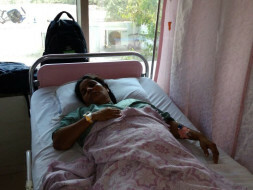 Her mom is already admitted in the Criticare hospital in Andheri and she needs a second stomach surgery. Under the current situation, there is complete stoppage of inflow and outflow from the body along with stomach completely swollen. Nagesh has tried his luck by going to various charitable trust but all of them has turned a deaf ear towards him. 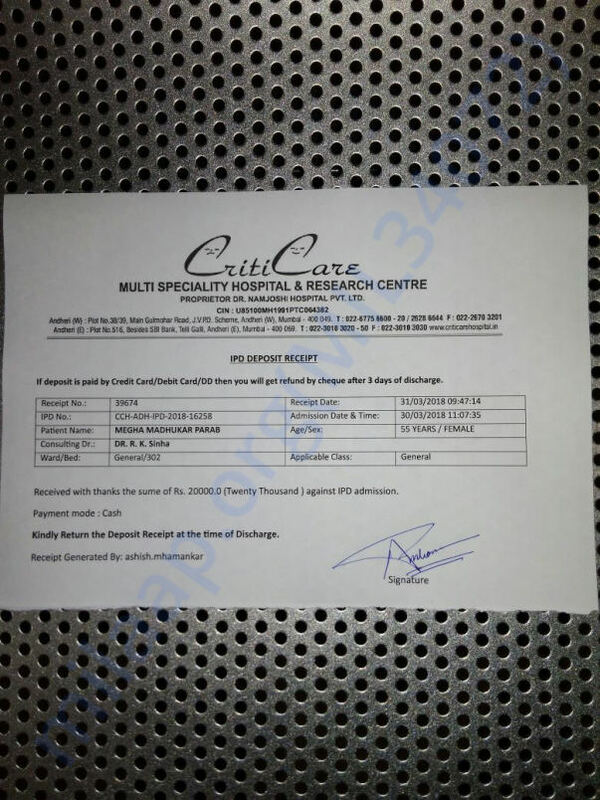 Kindly refer the attached photos for the cost estimate provided by the doctor. 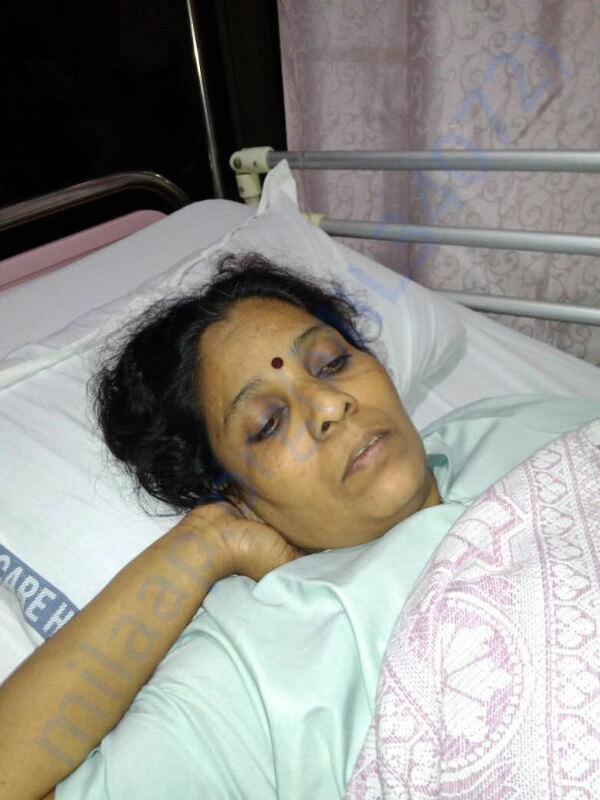 Lets help Nagesh to bring her mom back to his home. We thank you for the tremendous support. We love to share the Good news with you. Operation was successful and his mother is discharged now and back to her home. The balance amount was raised by all the Indiabulls Colleagues and Seniors till their full capacity to ensure full amount was raised. 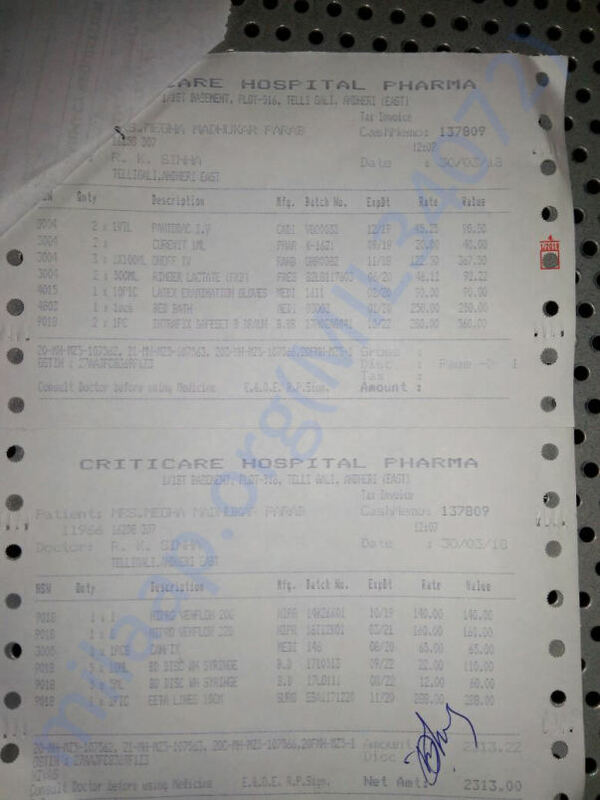 Throughout the whole journey, He was under the impression that he needs to take the money on credit from us and needs to repay back over the period of time. 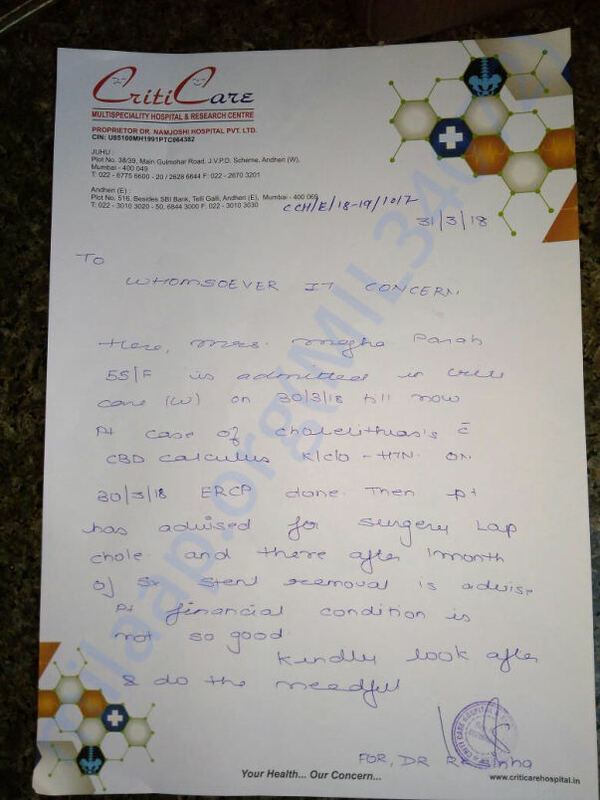 After discharging her mom, when we told him that he doesn't need to repay a single rupee to anyone of us, and being completely stunned, he broke into tears. We all have made a difference.